: Retirez de la partie Mangara de Corondor et le permanent ciblé. 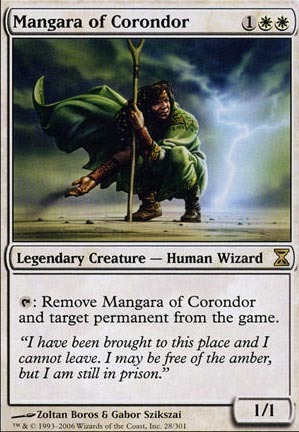 : Remove Mangara of Corondor and target permanent from the game. I have been brought to this place and I cannot leave. I may be free of the amber, but I am still in prison.